Last year we showed you how to tether your Android phone to your computer, no rooting required. The only catch was that it cost $16—now we’re back with a just as simple but free-as-in-beer solution. Our original guide was inspired by a reader email, asking us to help configure their Android phone and laptop for tethered browsing, and detailed how to use the robust PDAnet to tether. This guide is inspired by the recent release of Tether, a free application from Koushik Dutta, the brains behind the awesome ClockworkMod package for Android. Read on as we show you how to use ClockwordMod Tether. 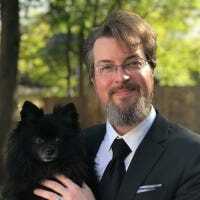 One word of warning before we continue; although we found Tether to be a perfectly acceptable alternative to PDAnet, it is still an Alpha release. If you’re worried about hiccups or downtime (and your job depends on you having face and reliable internet access) we’d highly suggest reading our original guide focused on PDAnet as PDAnet is a mature and well tested tethering tool. Once you’ve downloaded the appropriate copy for your OS, you’re ready to rock. Let’s get started! After downloading the installation app, launch it. Although you won’t have to do anything too fancy to install tether you will need to approve a variety of system changes—the warnings look serious but that’s just because Windows Vista/7 is particularly aggressive about warning users. Click through the installation process, about halfway through a command prompt window will pop up and the installation process will prompt you to approve the installation of an unsigned driver. Approve it. At the end of the installation process Tether will launch your default web browser and direct it to Tether Drivers sub-page of the ClockworkMod site. If you already have the most up-to-date USB drivers for your particular Android phone, you can skip this step. For everyone else, take a moment to grab drivers for your phone. Don’t see your phone listed? You can always check out the driver list provided by Google here. At any rate, you’ll need to make sure your drivers are up to date before continuing. If you’ve previously used PDAnet on your computer (whether the trial or the full package) you’ll need to uninstall it before continuing. Tether will not work if PDAnet is installed. Once your drivers are up to date and you’ve confirmed PDAnet is uninstalled, it’s time to fire up Tether. When you first run it there isn’t much going on, it simply sits by idle waiting for you to start the process. Now is the time to plug in your Android phone’s sync cable and tether the phone to your computer. You’ll need to have Debug mode enabled. Take a moment to navigate, on your Android phone, to Settings > Applications > Development and check USB Debugging. Once you’ve confirmed debugging is on and your phone is connected, click Start in the Tether interface on your computer. Tether should spring to life; don’t worry too much about the output whirling by in the Tether Log window. Tether will automatically install the Tether application on your Android phone (if it doesn’t you can find it in the \ClockworkMod\Tether\Common\ folder and install it manually). And that’s it! You’re connected to the internet via your Android phone. No more hunting for Wi-Fi nodes, you’ve got a easy to use tether right in your pocket. Although we had a painless Tether installation, it’s still an Alpha release app. We’ve rounded up some solutions to common problems here. First, when in doubt, restart both your computer and phone. 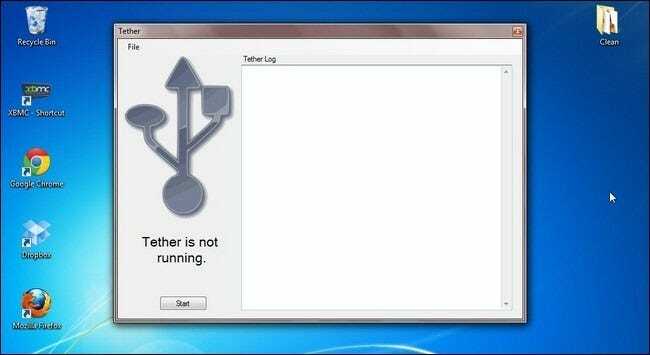 Second, use the task manager to kill all instances of tether.exe and node.exe before restarting the tether.exe—some users report that the first time they run Tether it doesn’t work but after killing the process and starting it again everything is fine. Getting a DUN Null error? Make sure you’ve uninstalled PDAnet—double check even if you think it’s not installed, maybe you tested it out years ago and forgot. Connection hangs between phone and computer? Make sure your USB drivers are up to date. It’s possible to have just-good-enough older drivers that get the phone and computer talking but fail to completely connect the two together. Installation failed? Run it again as administrator and make sure to approve the driver requests it makes. If you need additional help or have run into a quirky installation issue, make sure to check out the discussion thread about ClockworkMod Tether here.